After informing the host staff that it would just be my mom and I, the next question the staff asked was if there were any allergies in our party. I love it when the staff initiates the allergy conversation, and I informed them that I was both gluten and dairy-free. Because of that, a receipt was printed indicating my allergies that was given to the waitress covering my table. The menu is marked to indicate allergens, but isn't helpful when figuring out if those allergens can be worked around. The waitress serving our table was minimally helpful when it came to allergy questions, but she assured me she'd put items submit my order as allergy order to the kitchen. 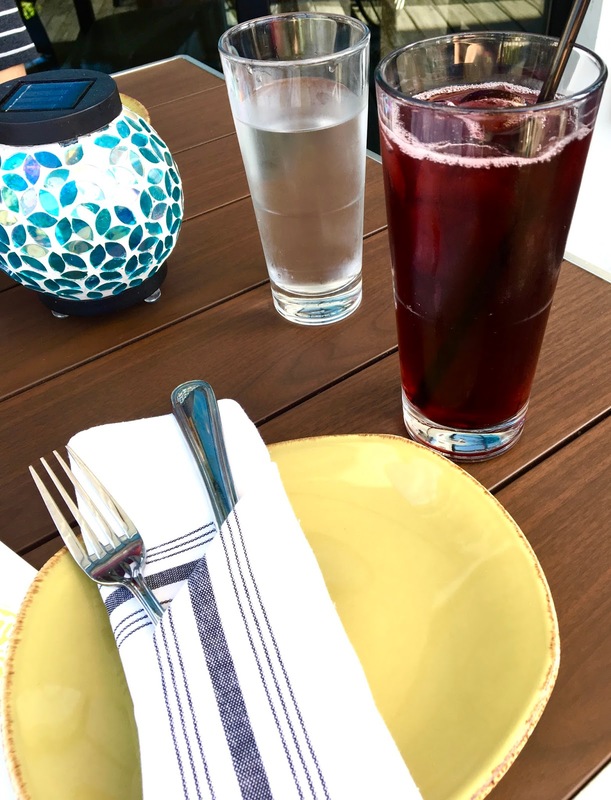 For a beverage, I ordered the agua de Jamaica, which is a hibiscus tea that's intense and fruity. 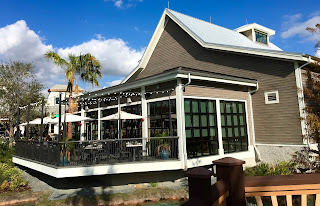 It was very refreshing on a warm day, and I liked how it complimented the flavors of the food. My only complaint? No free refills. My mom and I were indecisive about what to order, so we decided to order two appetizers to share while contemplating entrees: the coctel verde and guacamole. The coctel verde featured large shrimp and scallops drenched with verde salsa, joined by jicama and avocado. Fresh-fried tortilla chips were the vehicle for dipping, and were salty, crunchy, and immensely satisfying. The dip itself was vibrant and spicy, I loved the chewiness of the seafood contrasting with the creamy avocado and smooth salsa verde. The portion was enough for two or three people to share, and had a nice portion of seafood for the price. 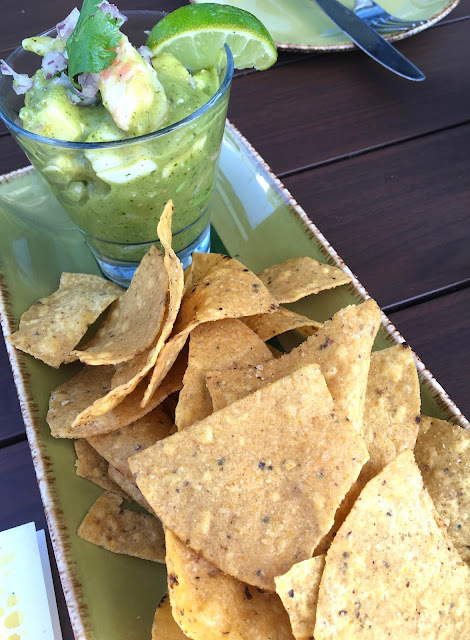 The guacamole at Frontera Cocina comes in three varieties, and my mom and I decided to go for the verde guac, which comes with red onion, pumpkin seeds, cilantro, poblanos, and tomatillo. The chips, like the ones with the coctel verde, were really good, and were strong enough to handle the thick dip. The guac was good, if not overly spectacular. 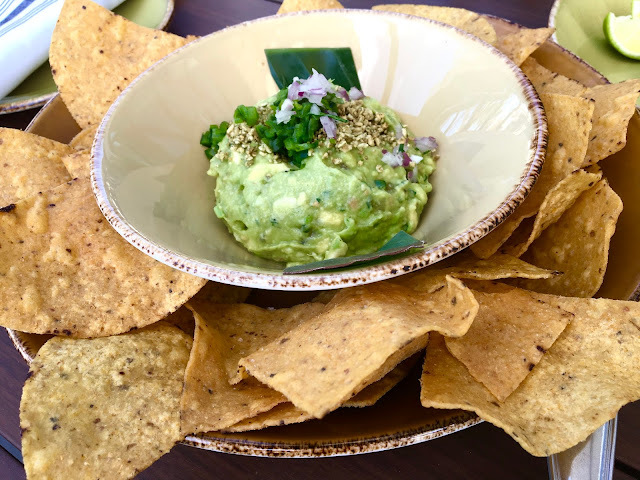 The toppings added flavor to the creaminess of the avocado, but what really brought the guacamole to life was a squeeze of several lime wedges on top, which added a bright citrusy flavor. By this point in the meal, I was beginning to get full, so I decided to skip an entree and order yet another appetizer for my main dish. I decided upon the tostada, which is like an open-face taco on a fried tortilla with chicken, black beans and avocado. Because I am dairy-free, I had to forgo the crema and queso fresca which are dairy-containing. The trio of tostadas were super cute and were arranged beautifully. Each one disappeared in a few bites, and were the heaviest of the items ordered. The black beans were creamy with a smoky, spicy flavor and the chicken was bright and flavorful. A squeeze of lime added pizazz and the slice of avocado added creaminess. 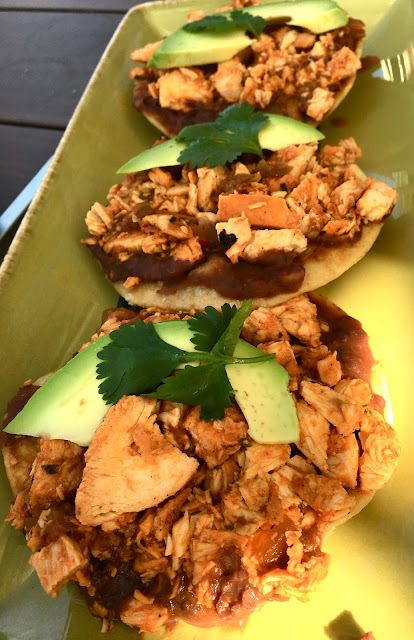 The only downside is the tostadas is that the crunchy disks tend to get soggy pretty fast and become messy to eat as they fall apart mid-bite. Despite this, I was satisfied with the dish, and liked that it was perfectly portioned. All three items were good that I ordered, with the highlights being the coctel verde and tostada. I liked how easy it was to navigate the menu at Cocina Frontera, and that the multiple check points (host stand, waitress, kitchen) ensured my meal was safe and free from gluten and dairy. 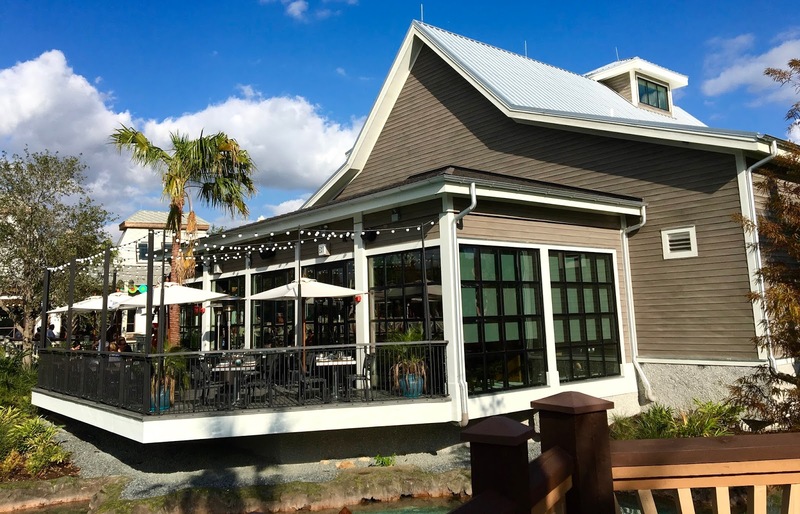 The downsides to my experience was that service was rather slow and inattentive and the meal was on the expensive side. The latter is expected when dining in "tourist town" but it was a bit of sticker shock when my mom and I got the bill. Next time I'll hit the quick-service menu and skip the table service premium, but I'm not in any rush to return. 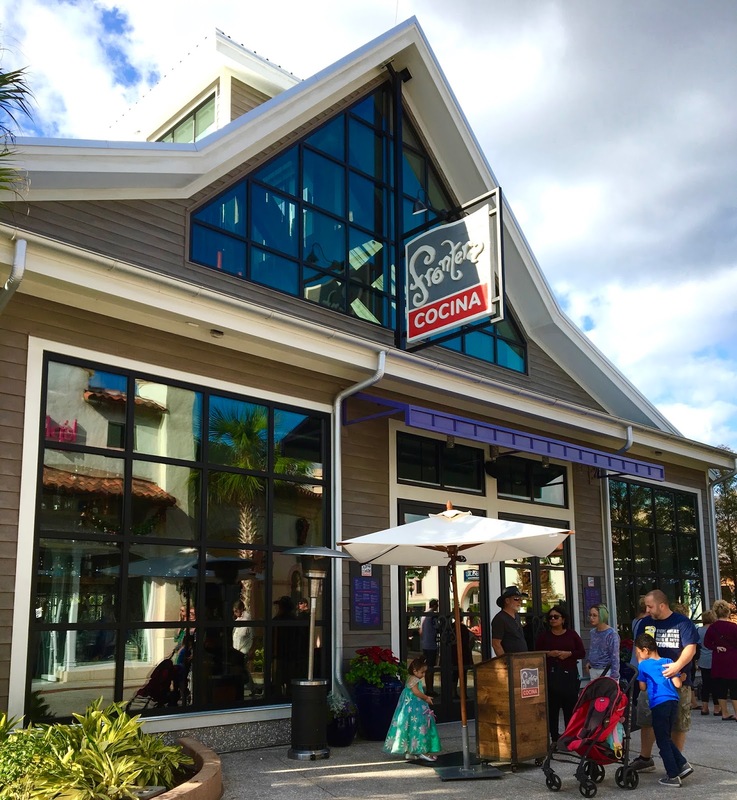 I'd love to see Frontera Cocina introduce a prix fixe lunch menu for a set price, which would be the perfect way to try multiple items while not busting your budget.